Don’t trust your iPhone repairs to just any shop. Visit Hallandale’s Fix Apple Now for certified Apple repairs. Call now and receive free diagnostics, free tempered glass to protect your iPhone, plus 5% off your iPhone repairs in Hallandale. Now, that’s what we call a heck-of-a deal. Below you can find driving directions from Google Maps to help you get from Hallandale to your nearest Fix Apple Now store, situated in Hallandale. You can either copy the driving instructions below or click here for a larger map and driving directions. Don’t have time to swing by? Ship it to our Hallandale Fix Apple Now store. We offer convenient mail-in repair service where you can post your faulty tech items to us to fix for you. Once repaired, we can mail your devices back to you. We offer quick and affordable iPhone, iPad, iPod, Apple Watch, iMac, and MacBook repairs. If your iPhone is performing slower than normal or you’ve noticed delayed responses, bring it to Fix Apple Now Hallandale for a FREE diagnostics. We can help identify exactly what is going wrong so our Apple team can solve the issue. If your model isn’t listed give us a call and we will help guide you to the option for your iPhone repair. 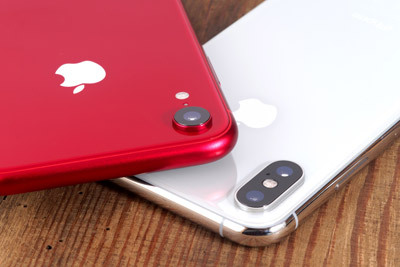 Fix Apple Now Hallandale can repair any Apple Product, but, unfortunately, some parts are more expensive than others and rare parts are harder to find for newer models of iPhone. We purchase high-quality parts and believe in recommending the best option for each customer. We got you covered.